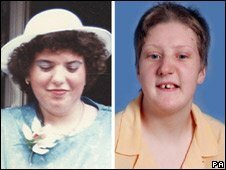 There were "no excuses" for failings which contributed to the deaths of a mother and daughter who were hounded by youths, the home secretary has said. Fiona Pilkington, 38, killed herself and Francecca Hardwick in a burning car after years of abuse on their estate. 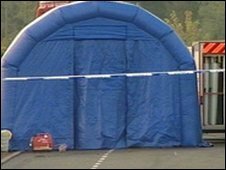 An inquest jury said Leicestershire Police and two councils had not handled complaints from the family properly. Alan Johnson said the agencies were wrong to regard such anti-social behaviour as "low-level crime". The Independent Police Complaints Commission is to investigate the handling of the case. Speaking to BBC News, Mr Johnson said: "This should never have happened and there are no excuses for this and there can be no excuses for this. "This is an example of a complacency that we are determined to eradicate wherever it is." Speaking about the anti-social behaviour the family experienced, he added: "In Fiona Pilkington's case there was insufficient attention to this, it was classified as low level when it is high level if you are experiencing it, that is for sure." While accepting that the police had made improvements in the past two years, Mr Johnson said the fact remained the existing powers had not been used properly. "It is the police's job, along with the local authority and social services and housing and all the rest of it, to ensure that people are not driven to the kind of despair Fiona Pilkington was driven to. "She did that terrible thing because she felt at her wits' end and she had to get a message to someone and if we go through a load of excuses about this we will not tackle the root problem." Mr Johnson added: "I take my responsibilities seriously here. "I'm concerned that we've coasted a bit on anti-social behaviour. We need to ensure now that right across the country there are consistent standards." 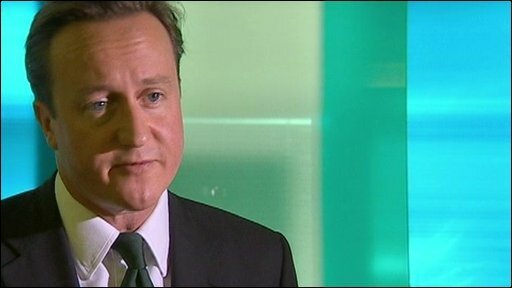 Conservative leader David Cameron said it was "an absolutely horrific case" which raised questions for both the police and the council. "But also we have had a decade of a Labour Government telling us about anti-social behaviour legislation and instructions and orders to the police and it just isn't working," he said. "We've got to get rid of the police paperwork, we've got to get them back on the streets, we've got to make them feel empowered to intervene and clear these people off the streets and make them accountable locally so there are consequences if they don't deliver." The inquest at Loughborough Town Hall heard Ms Pilkington, her daughter and her son, Anthony, who has severe dyslexia, suffered more than 10 years of harassment and threats from a gang of teenagers living on their street in Barwell. The council has admitted the Simmons family, who live nearby and are thought to be among those involved, still cause trouble in the area. When asked by the BBC if his children bore any responsibility for the deaths, the father said: "That's for the authorities to decide." Ms Pilkington is believed to have poured the contents of a 10-litre can of petrol over clothes in the back seat of the car, and set them alight. The jury found Ms Pilkington killed herself and her daughter "due to the stress and anxiety regarding her daughter's future, and ongoing anti-social behaviour". The jury foreman said the police's response had had an impact on Ms Pilkington's decision to unlawfully kill her daughter and commit suicide. David Cameron: "We've got to get rid of the police paperwork"
Relatives described how Ms Pilkington had complained for years about youths "taunting and abusing" her at her home, but six months before her death had told them "I give up". Temporary Chief Constable Chris Eyre of Leicestershire Police said he was "extremely sorry" that police failed to help Ms Pilkington and her daughter. Mark Golding, chief executive of Mencap, said "hate crime" against people with learning disabilities was common and should be taken as seriously as racial abuse. He added: "I think this case will be the wake-up call that gives it that kind of profile. "Until now it's been seen as low-level, it's being treated as misbehaviour and people's lives are being ruined as a result." Mr Golding said more education about disabilities was needed in schools, and authorities needed to work together to support people with learning difficulties and stop a similar tragedy happening again. He added: "The only upside of this tragedy is that it brings this issue into the open."